ArchiMate models are used to describe and analyse multiple perspectives on an enterprise. Models can depict AS-IS and TO-BE states of the enterprise, to support enterprise transformation initiatives. Thus, models can be used to represent the EA at certain points in time but also to depict changes of enterprises over time. 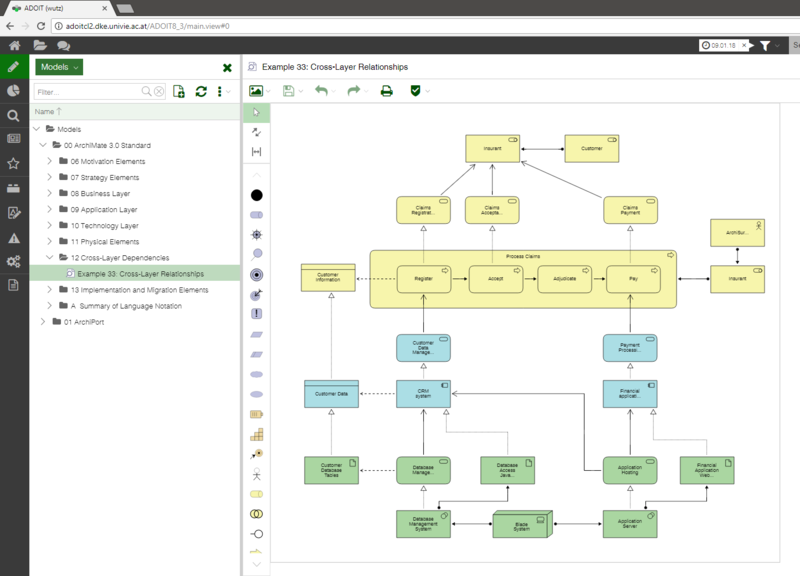 ArchiMate defines core concepts of an EA model as well as their graphical illustration. Broadly speaking in ArchiMate models consist of concepts which can be of type element or relationship. Examples of elements (respectively of modelling classes) offered by ArchiMate are “goal”, “business process”, “business object”, “application component”, “system software” etc. Dependencies between the elements are drawn using relationships, e.g. of type assignment, triggers, aggregation.